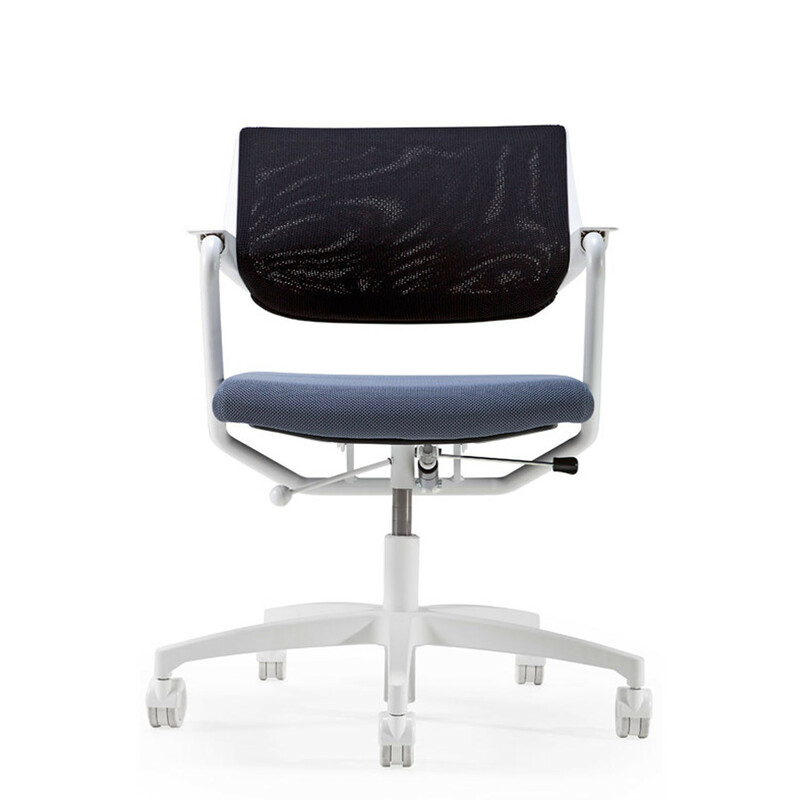 Gala Task Chairs are the joint design effort of Gerhard Reichert, Koray Malhan and Heinrich Iglseder. 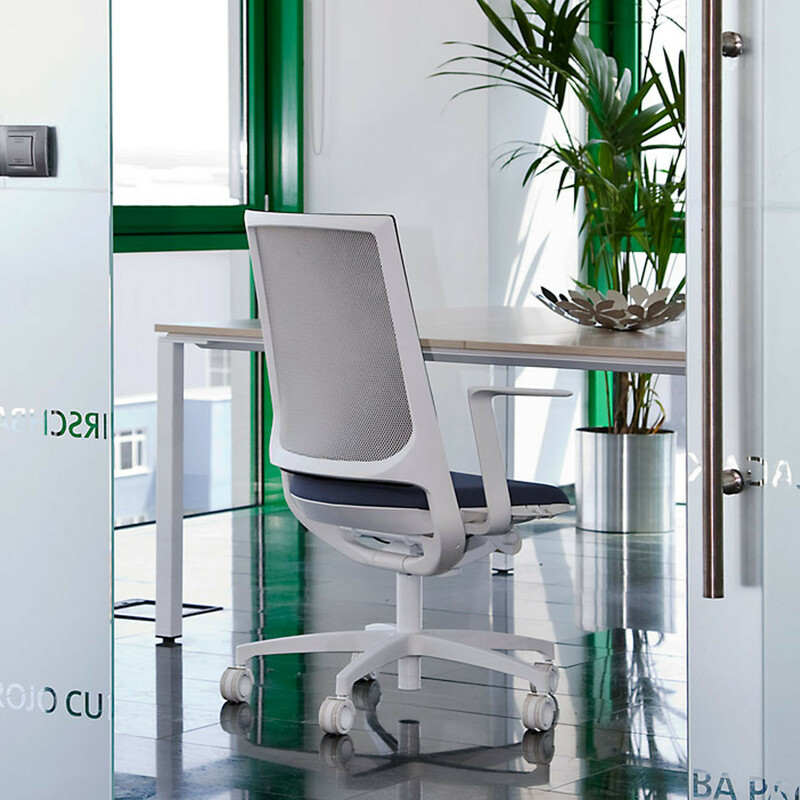 Gala was the renowned muse of Paul Eluard and then Salvador Dali and was the inspiration for this design of this modern office task chair. 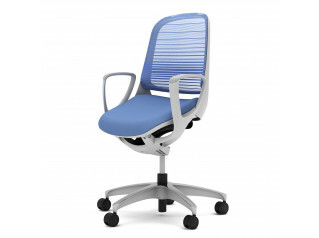 Gala Office Task Chair's patented fabric mesh has a very unique structure and high resilience, providing perfect support in the lumbar region by adapting to the unique shape of the spine of the user. The self-protective structure of the special fabric, which avoids the expansion of any holes and punctures, even under pressure, also gives it a unique functional quality. 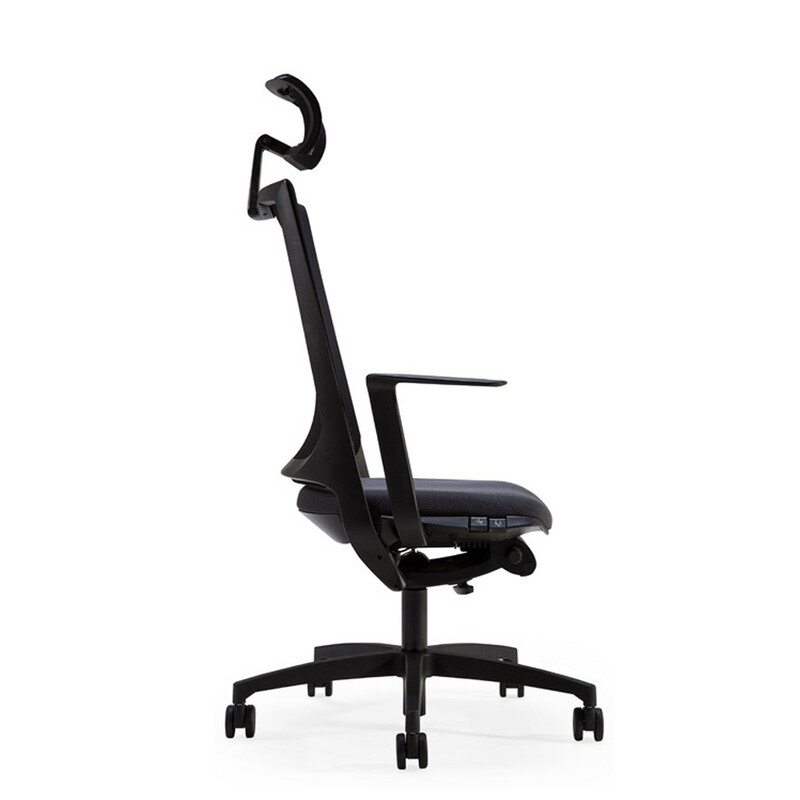 The backrest frame changes its shape and sectional direction when in use. 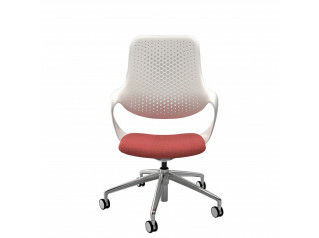 The section of the supporting back frame also has an alternating section throughout its overall structure. 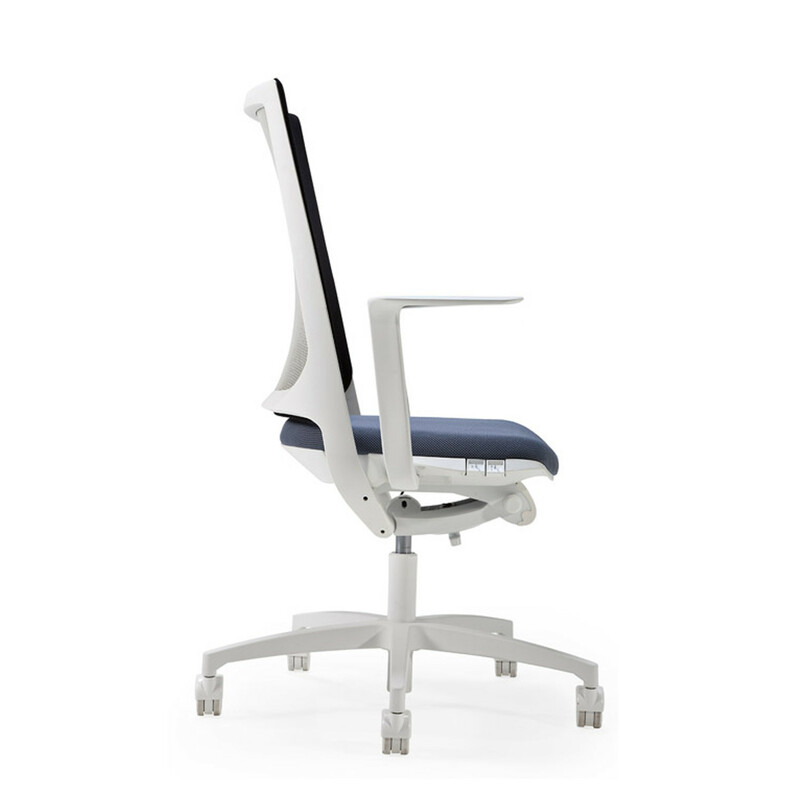 Offering back support with the mass-compensation synchro-balance mechanism, Gala Ergonomic Office Task Chair automatically adapts to each user’s weight. 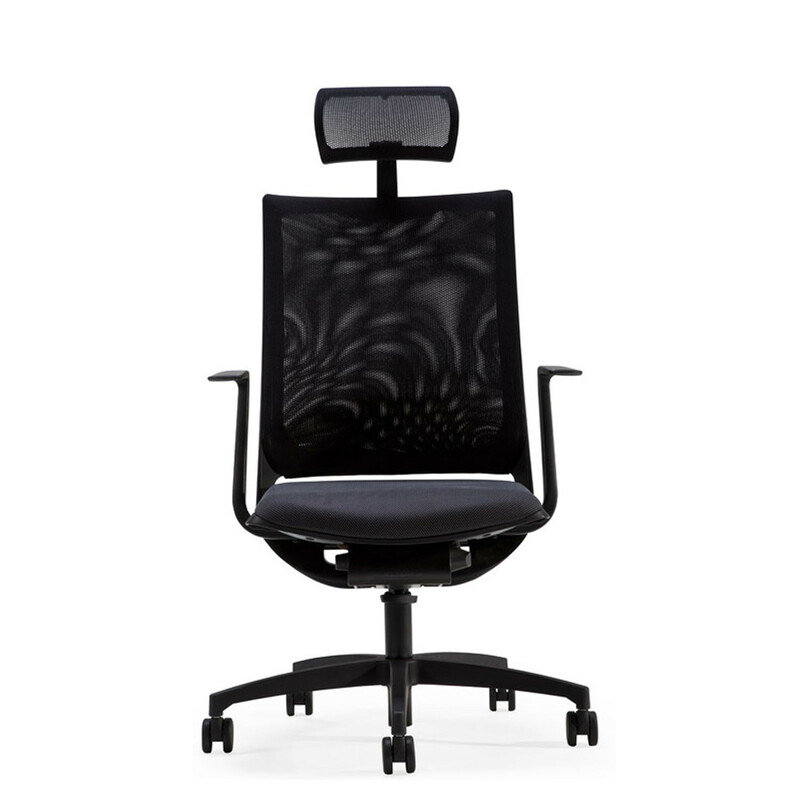 The inner fabric is black as standard with the choice of the inner fabric determined by the requirement of the lumbar support and tensile strength qualities, is available in a limited selection of colours. The outer fabric has a more decorative style with a unique texture. 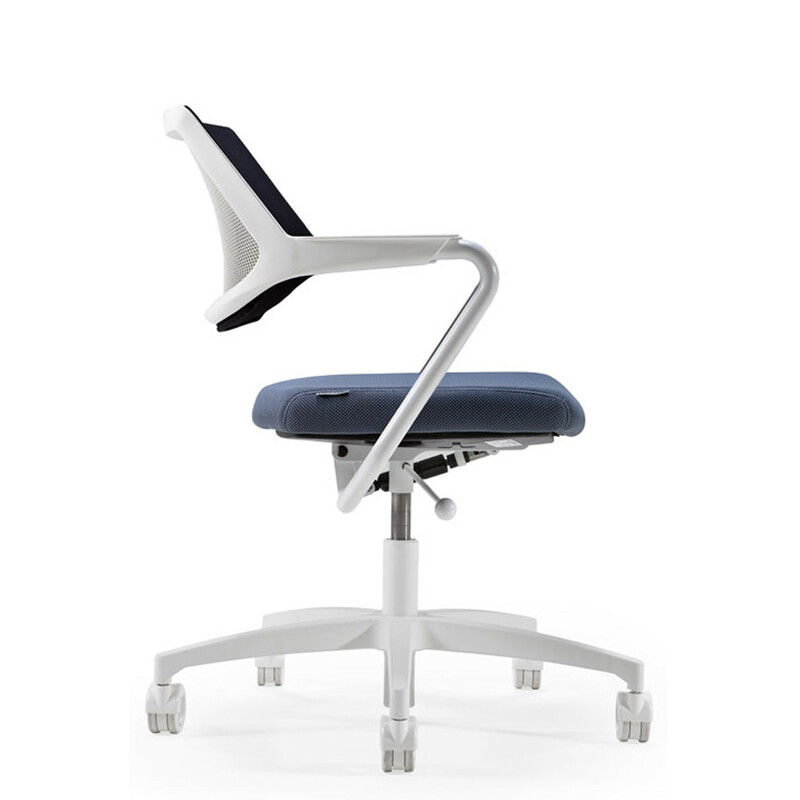 Gala Office Task Chair's function levers are uniquely located in a visible plastic skirt surrounding the seat pan, so are are easily accessible. 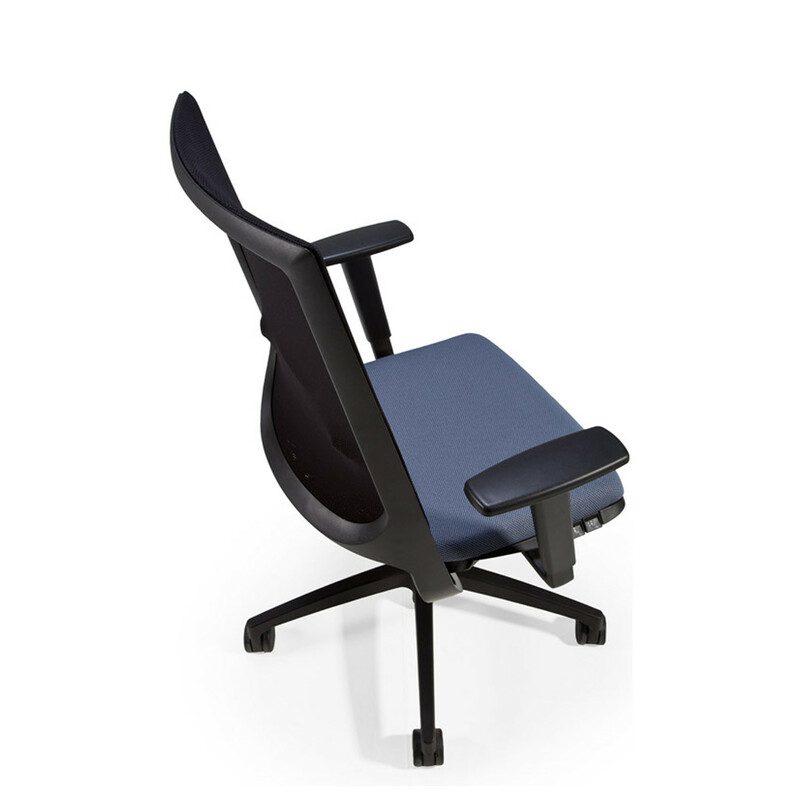 Adjustable accessories are also available as adaptations to Gala; fixed armrests of original design, 2-D or 4-D adjustable armrests, or a headrest option, are available without any compromise to the integrity of the composition. 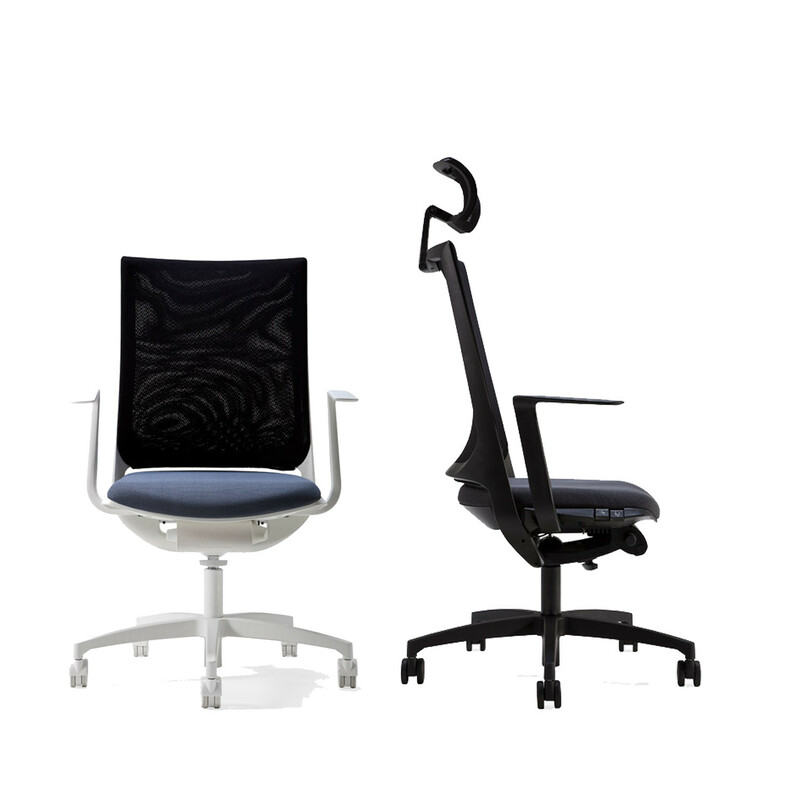 All the parts that form the skeleton of Gala Task Chairs are available in white; so the fixed armrest, chair adjustment mechanism and frame can be formed from white as well as black. The 5-star bases are presented in aluminium polished finishes as well as glass reinforced polyamide in black or optionally white finish. Another alternative presented by Gala is the specially designed castors that rotate around a hollow centre; these special wheels are only available for polished or white bases. 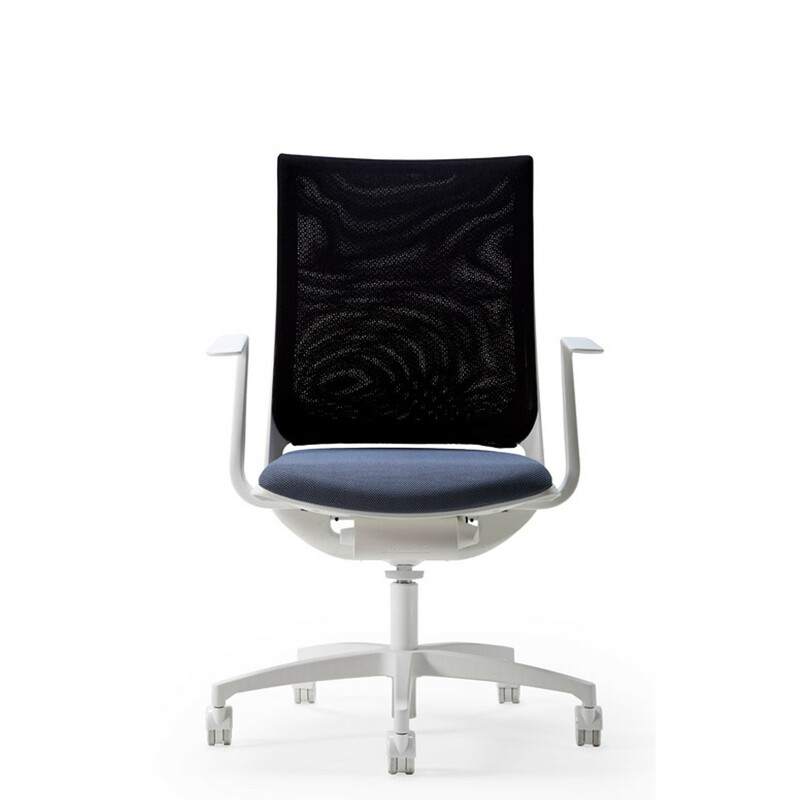 A special fabric can be selected for the seat pan which has a unique texture with several layers that provide for optimum ventilation, providing a healthy alternative for regulating the changes to temperature and pressure caused by the daily sitting experience. 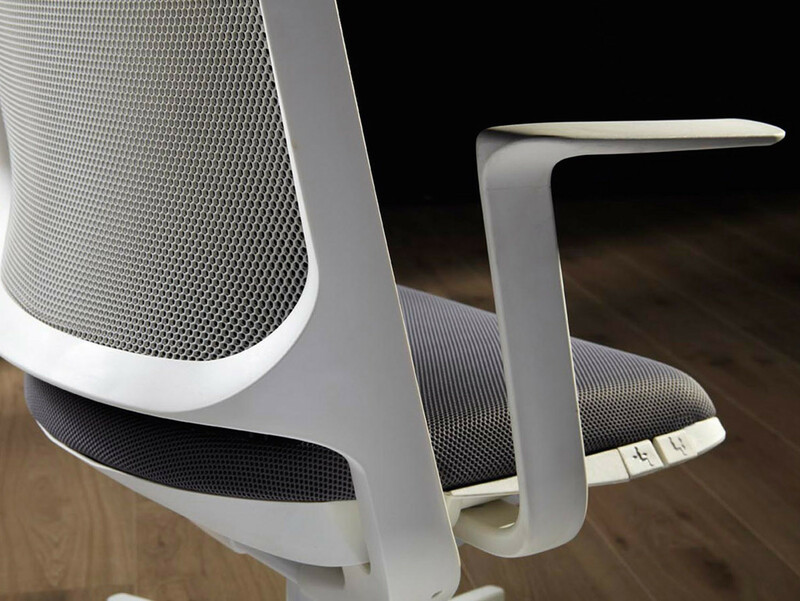 View more furniture from Koleksiyon. 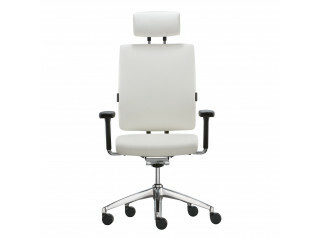 You are requesting a price for the "Gala Task Chairs"
To create a new project and add "Gala Task Chairs" to it please click the button below. 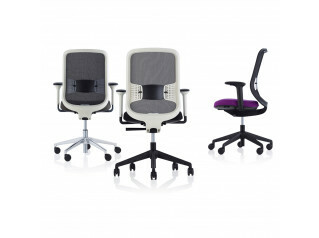 To add "Gala Task Chairs" to an existing project please select below.